My, oh, my …did they ever break the mold with this one. Today, we celebrate Bud Myers’ birthday. This is one of my favorite pictures of dad. He is so happy next to his little toy car. 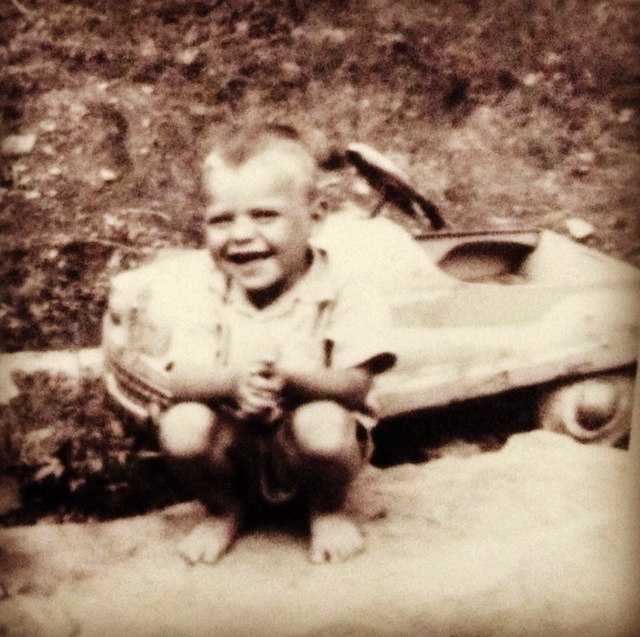 I suppose my grandparents should have known then he was going to grow up to be a car, truck, and motorcycle fanatic. Bud was an ornery child and always getting into some kind of trouble. He cruised through school not with his grades… but with his talents on the football field. He’ll admit, the only reason he graduated high school was because he was great at football (and the teachers didn’t want to have to deal with his shenanigans another year!) From hot wiring school buses to hanging his shop teacher out the window… can you blame them?? 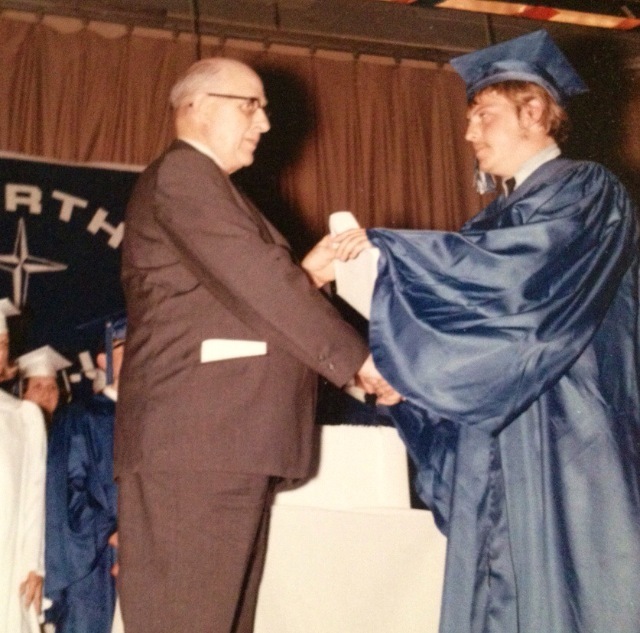 I found this picture today… proof that he did indeed graduate high school. Everyone thinks their dad is the greatest. We are all so very biased when it comes to those sorts of things. I am no different. Bud traveled a LOT when I was little. Starting his own trucking company from the ground up wasn’t easy, and he missed more than half of my childhood. When he was in town though, he made up for lost time. 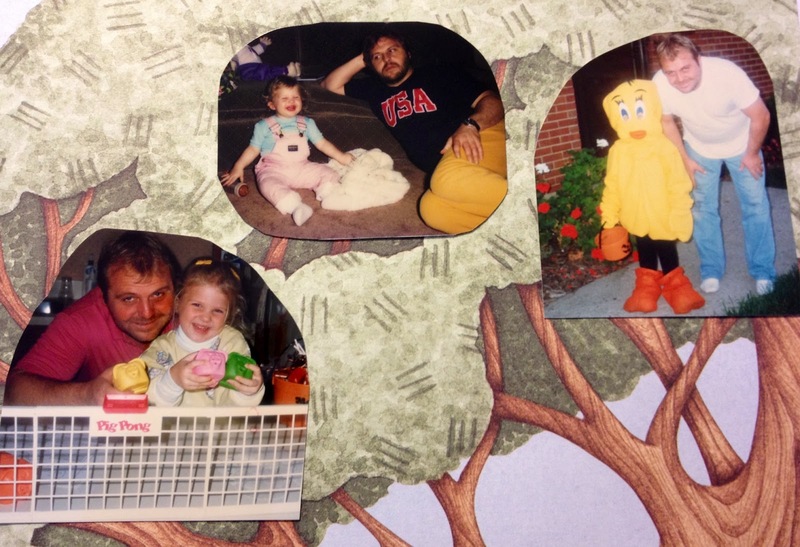 Some of my fondest memories as a child are with dad. It was always the simple things too. We would wash cars together in the driveway, shoot hoops, or he would take me to the shop to work on the semi-trucks. I’ve always been a daddy’s girl, and while I’m sure Bud always wanted a son… he never excluded me out of anything just because I was a girl. He taught me everything he knew about cars and trucks, sports, and how to be a good person. Bud has the biggest heart, and while he can be rough around the edges, deep down he is the kindest person I know. He is incredibly street savvy and there is no one smarter when it comes to dealing with people. He may not have a college education… but the things he does, he is very successful at. I’ve never ever been embarrassed by my father, and never wished I could have someone else’s dad. He is HILARIOUS… as many of you already know. He doesn’t mess around, shoots them straight, and has always taken care of his family… no matter what kind of situation comes our way. Dad’s motto has always been: God, first. Family, second. Work, third. I am so proud of him, and love him more than the words that fill this blog. So, on December 7th… (Pearl Harbor Day) … here’s to you, Bud Myers. The very best dad around. Next Post A new Blog on the way! This is a father's day commercial if i've ever read one. This is great. Good job Shan!! I enjoyed my one day of hanging with Bud watching senior's golf. I can only imagine how cool he is all the time.